The fingers were smoking tonight! I started this one around supper time and stitched the back shut just now at 10pm. 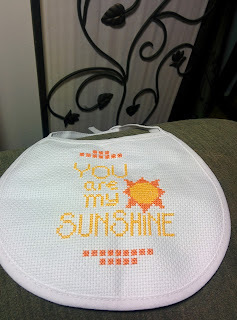 The pattern comes from pinterest and the pattern was chosen by a friend of mine who used to sing this all the time to her daughter when she was an infant. The bib is now going to a baby about to arrive in their family. When I was looking through my stash, I found 8 other bibs that I had purchased. The inner workings of the brain of a cross stitch addict are a funny little cogs and wheels. Yes! 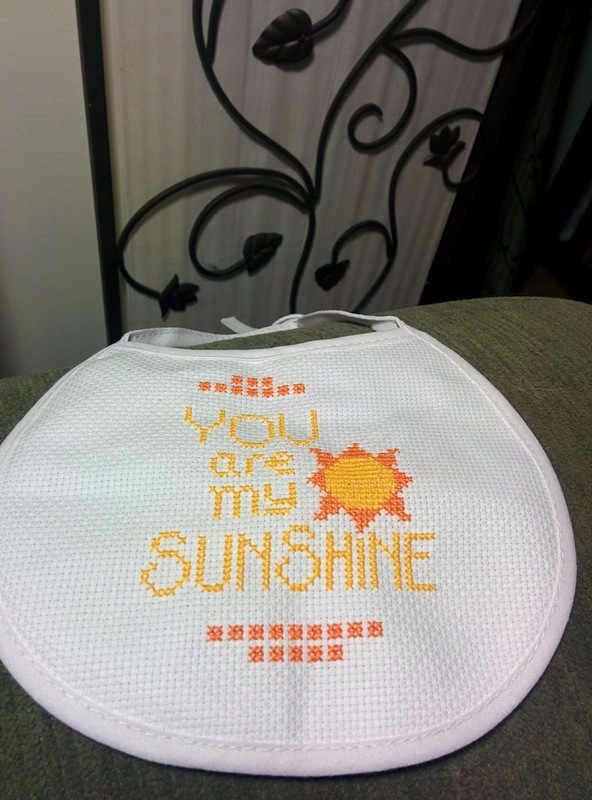 Let's order 12 bibs to stitch! It is a deal and baby bibs are cute! Order more stuff for the stash! Now, this tired stitcher is going to drag herself to bed. I have had a busy week between work, Rotary club stuff and being out most evenings. This tiredness is a good tired from making memories with friends and giving out bike helmets to elementary students from our Rotary club. Happy stitching!